Home / Uncategorized / Red Burgundy under $30 from a Master Winemaker. Red Burgundy under $30 from a Master Winemaker. The best values in Burgundy are often the simplest wines from top producers. Most vignerons make their Bourgogne-level wines with the same care and precision as their top cuvées, and the cost remains a fraction of the famous names. Rising demand and fixed supply has pushed many Bourgogne rouges from top domaines past $30 and even up into the $40s. But Jean-Louis Amiot has kept his Bourgogne more affordable. Our allocation is fewer than a dozen cases every year, but in 2016 we managed to snag a few more. This is delicious, complex red Burgundy from a top producer — it just happens to be at an everyday price. Morey-St-Denis is tiny — the population is less than 700 — and its vineyards cover less than half a square mile. Amiot is among the best known names in town, and his wines are excellent year in and year out. Everyone made excellent wine in 2015, but Amiot really showed his talent as a winemaker in 2016. 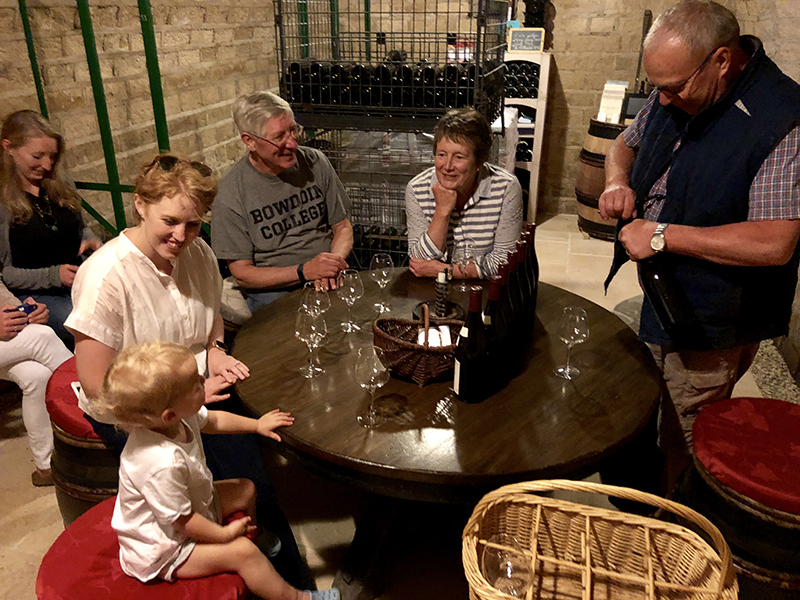 We retasted some 2016 on Saturday at the Domaine with Jean-Louis, and confirmed our notes from earlier this year — his 2016s are dense and full of pleasant fruit. The Bourgogne shows dark red tannins that are fresh and cool, with briary notes of raspberry, licorice, and minerals. The 2016 Bourgogne is not as big or long as his village and 1er cru cuvées, but it’s the unmistakable combination of an expert winemaker with excellent terroir. And at less than $30 it will be one of the top value Burgundies in your cellar.